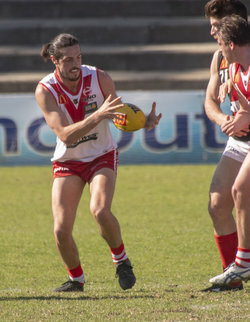 SOUTH Fremantle attempts to make it 10 straight wins at East Fremantle Oval and seven in-a-row against East Fremantle in the third and final derby of 2018 on Saturday. 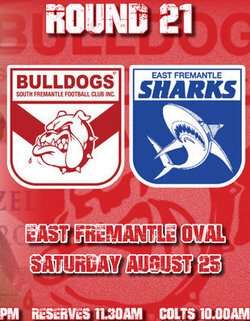 There might not be anything at stake in terms of consequences for the season or ladder positions, but any Fremantle Derby has that extra importance no matter what and that's sure to be the case again at East Fremantle Oval on Saturday. The third and final derby of 2018 between the Sharks and Bulldogs will see the two teams playing for the Ciccotosto-Uittenbroek Cup named in honour of two of longest-serving and loyal contributors to both proud and traditional clubs. WHAT South Fremantle coach Todd Curley had to say following the Round 20 WAFL victory over Perth at Fremantle Community Bank Oval that locked away second position and a home qualifying final with one game of the 2018 season remaining. QUESTION: That was a pretty comprehensive performance, you wouldn’t have found much not to like? ANSWER: We didn’t like big Higgo getting knocked out but aside from that I thought we were pretty consistent. It was probably our most complete performance for a while so we were really happy. Q: What do you know about Higgins at this stage? A: I think he just has a laceration to his lip, or inside his lip, and I don’t think he passed the concussion test anyway. He should be alright. Structurally and everything I think his face is OK, it's more a flesh would albeit a significant one. 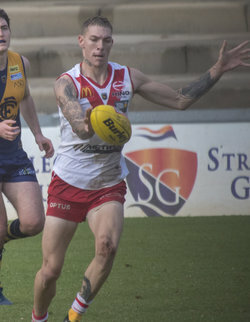 SOUTH Fremantle dominated Perth at Fremantle Community Bank Oval on Saturday to win by 78 points on the back of seven goals from Mason Shaw, dominant showings through the midfield and the back-line outstanding. South Fremantle came into the game in good form the past two weeks to beat West Perth and Swan Districts following tough losses to Subiaco and Peel Thunder leading into a bye. 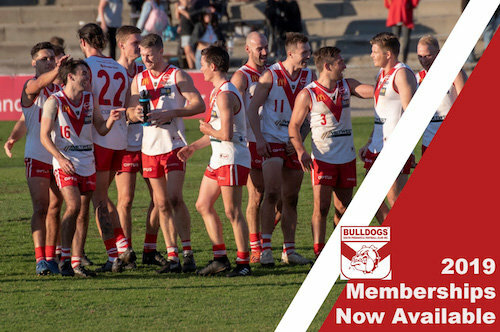 SOUTH Fremantle will look to continue its momentum gearing up for another qualifying final appearance when hosting Perth at Fremantle Community Bank Oval in Round 20 of the WAFL on Saturday. 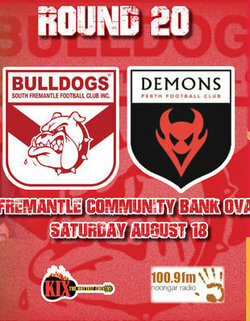 Perth might have beaten South Fremantle in the last meeting between the two teams, but the Bulldogs have dominated the recent history between the two teams and the job is ahead of the Demons in what is a virtual must-win encounter at Fremantle Community Bank Oval on Saturday. 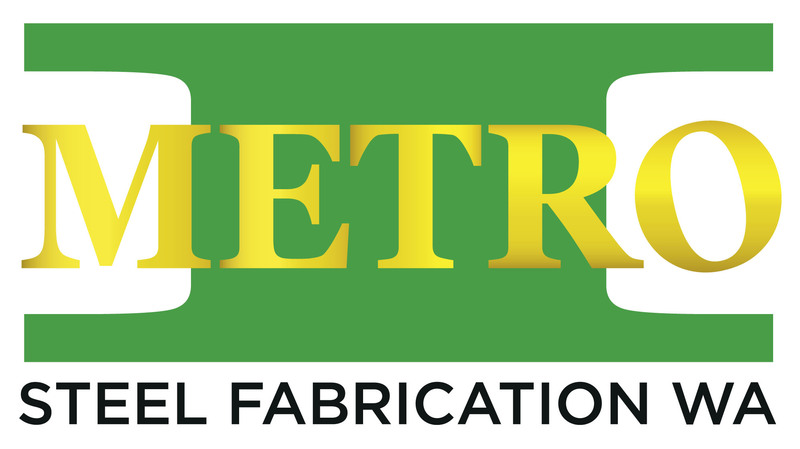 With South Fremantle out to win to continue its momentum heading into the finals and to confirm second position and Perth needing to win to maintain its finals dream it shapes as a fascinating contest. PERSONALLY it’s been another year with some ups and downs throughout. After my return from injury in 2017, I was optimistic that this year might be more successful for not only myself but the team, to go that one step further. After getting in a full pre-season, I set a little goal to play league in Round 1, something I had never achieved throughout my career. I was lucky enough to be selected, and all things were positive, until an ankle injury in Round 2. This kept me once again on the sidelines for an extended amount of time. At first, those thoughts run through your mind, can I keep doing this, maybe my body is telling me this is enough. After a fair bit of reflection, to me, 10 weeks seemed doable compared to other injuries I’ve had in the past. 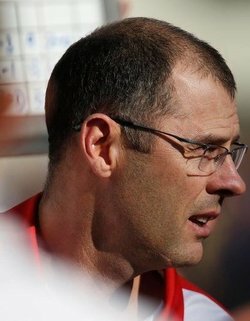 WHAT South Fremantle coach Todd Curley had to say following the Round 19 WAFL victory over Swan Districts at Steel Blue Oval and looking ahead to the final two weeks of the home and away season ahead of a third straight finals campaign. QUESTION: That was hard work for a half but once you got going in the second half, you were able to come away with a pretty solid win? ANSWER: It was the tale of the two halves probably. The first half wasn’t great and then the second half was really good. There's some more stuff for us to learn and our second half was pretty good with a few challenges along the way with personnel. But we finished off really well and that was the positive. Q: Your midfield again got on top and when you the likes of Hockey, Cook and Suban leading the way like that you aren't going to get beaten in that area too often? A: We were probably on top around the stoppages even early for the first half but just quick kicked a lot and gave it back to them. I thought we fixed that up at half-time and had some guys who were down in the first half that lifted. Some of our bigger guys had very little impact on the game in the first half but in the second half they were able to have an impact in the contest. That certainly helped us. 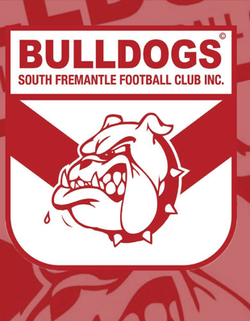 SOUTH Fremantle delivered a strong second half to beat Swan Districts by 30 points at Steel Blue Oval on Saturday with the Bulldogs now in prime position to remain in second position and earn a home qualifying final. Swan Districts started the game strongly needing the win to stay in the finals race for 2018 and the black-and-whites came out at Steel Blue Oval kicking the first three goals in an entertaining opening. MATTHEW Parker, Luke Moore and Regan Spooner have all been earmarked as potential AFL Draft prospects for later this year and invited to the WA State Draft Combine on October 14. On the back of the success of Tim Kelly being drafted to Geelong following his 93-game WAFL career at South Fremantle including his standout 2017 season where he was runner-up to Haiden Schloithe in both the Sandover Medal and WJ Hughes Medal, the door could be open more than ever for mature-aged player. 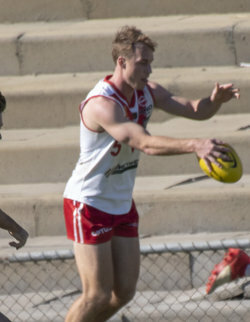 The first sign that Parker has a genuine chance of an AFL just over 12 months after making his WAFL debut with South Fremantle was of him being invited to the WA State Draft Combine. THE South Fremantle Football Club is mourning the passing of Life Member Laurie Flanders. Laurie played a huge role in developing the mental strength and confidence of our players for nearly 30 years as the club’s boxing coach. He also added character and humour to the whole environment of our off-field fitness and medical team down in the changerooms and he will be sorely missed by all that were associated with him at the Bulldogs. Our thoughts are with his wife Pat, daughter Kelli, son Neil and their families. 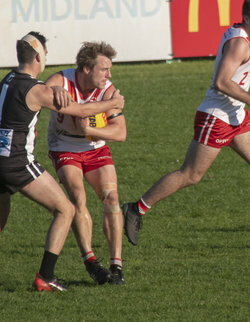 WHAT South Fremantle coach Todd Curley had to say following Saturday's Round 18 WAFL win over West Perth at Fremantle Community Bank Oval as he discusses Ashton Hams' milestone, Shane Hockey, Noah Strom, Andrew Strijk and much more. QUESTION: That was an important win for a number of reasons against an in-form West Perth? ANSWER: It was probably less about the day and more about the importance of us getting back to playing our brand of footy, and what's made us a pretty consistent team the last few years. I thought we did that and our pressure was right back up. To have more possessions, more tackles and keep them to less than 40 inside 50s is much closer to what it looks like when we are playing at our best. Q: After losses to Subiaco and Peel, it was important to bounce back? A: We were just trying to get back and play our way. It's important for the whole group that when you haven’t been going that well, you can forget what it feels like when you do play well. We had some real energy from the start, our pressure was pretty good and we definitely left a few opportunities out there in the second quarter and should have been further in front at half-time. But they're a good team and they've had a really good run. It was good to get the four points for us and to get the feeling like we're back on track.